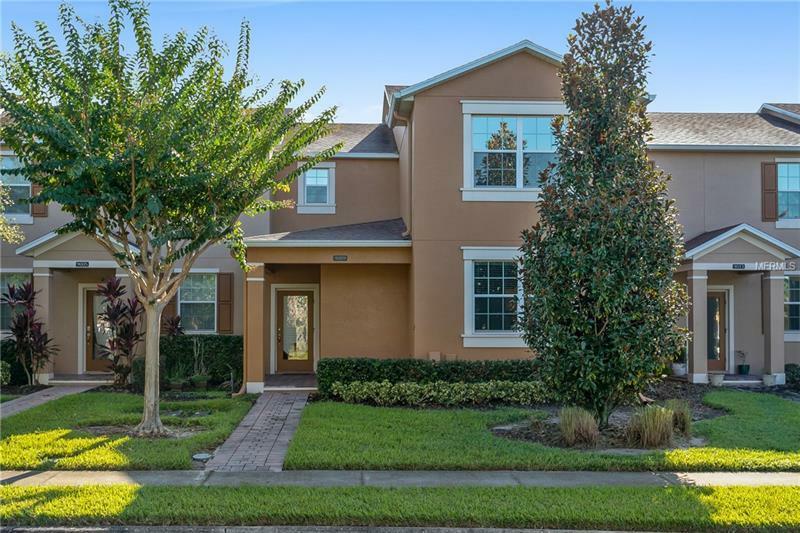 This beautiful townhome is in a great community near what's happening in Medical City and the Lake Nona area. The property features a bright and airy open floor plan, kitchen with stainless appliances and granite countertops, concrete block construction on first and second floors and a spacious patio perfect for entertaining. There is an oversized driveway and garage in the back which give the townhome great curb appeal. Just turn the key and enter into a stress-free, low-maintenance life style. The community has plenty of amenities: Basketball Court, Gated, HOA, Swimming Pool, Tennis Court, Tot Lot, Outdoor Fitness Area & Nature Trail. This is also one of the only 4 Bedroom townhomes in the community, so don't miss out on this opportunity!